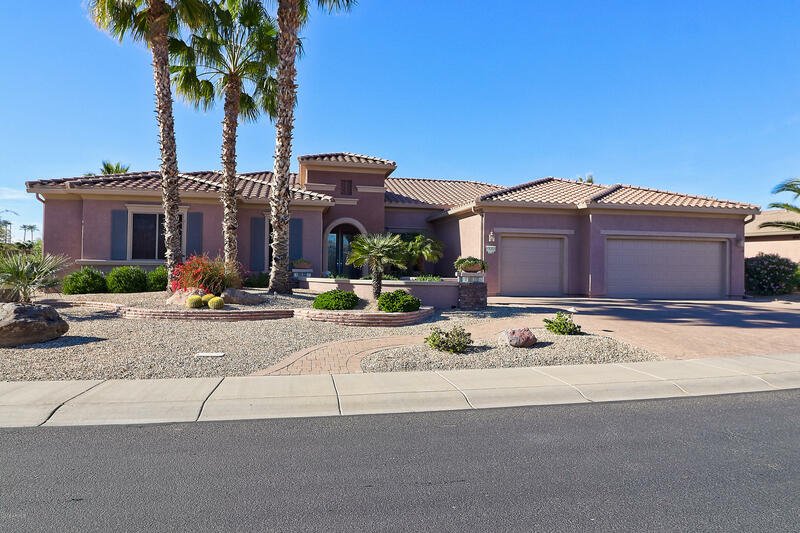 All Surprise homes currently listed for sale in Surprise as of 04/23/2019 are shown below. You can change the search criteria at any time by pressing the 'Change Search' button below. 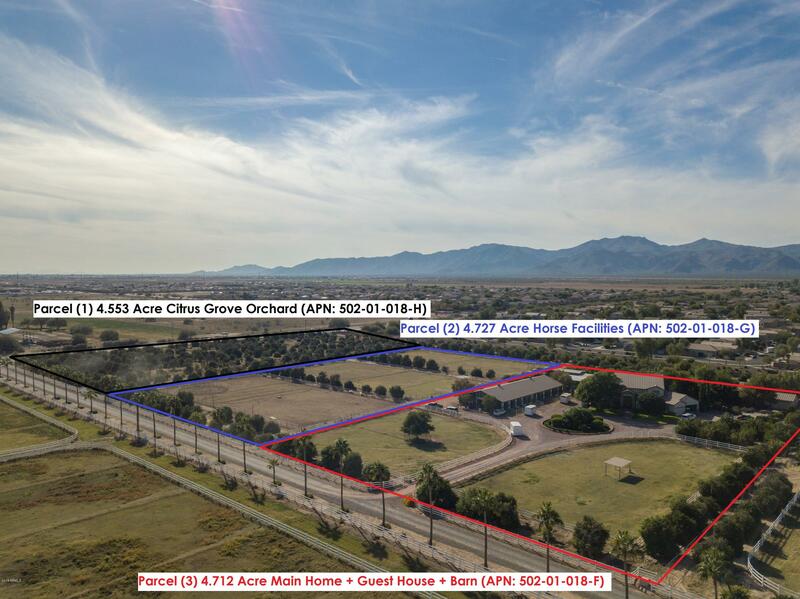 "13.992 Acre Flood Irrigated Property offers 4,506 SF Main Home w/ 5 Bed + Office (Master Downstairs), 3.5 Bath, 3 Car Garage + 1,600 SF Guest Home w/ 2 Bed, 2 Baths & 2 Car Garage + 14 Stall, 5,670 SF Barn w/ touch controlled lighting, automatic water system in each stall with sensors to monitor water consumption, tack room w/ built-in saddle racks, vet stocks for grooming or interior wash rack, exterior wash rack, office & bathroom. 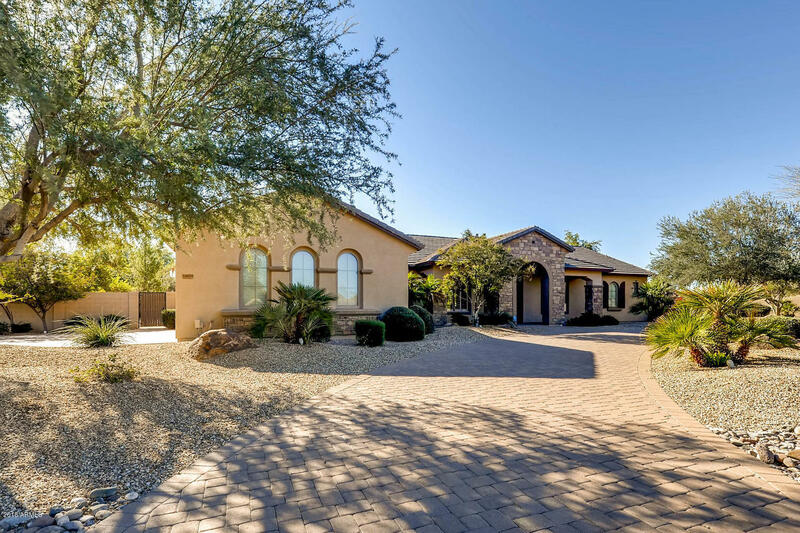 Equestrian amenities include multiple pastures, corral & arena"
"9.439 Acre Flood Irrigated Property offers 4,506 SF Main Home w/ 5 Bed + Office (Master Downstairs), 3.5 Bath, 3 Car Garage + 1,600 SF Guest Home w/ 2 Bed, 2 Baths & 2 Car Garage + 14 Stall, 5,670 SF Barn w/ touch controlled lighting, automatic water system in each stall with sensors to monitor water consumption, tack room w/ built-in saddle racks, vet stocks for grooming or interior wash rack, exterior wash rack, office & bathroom. 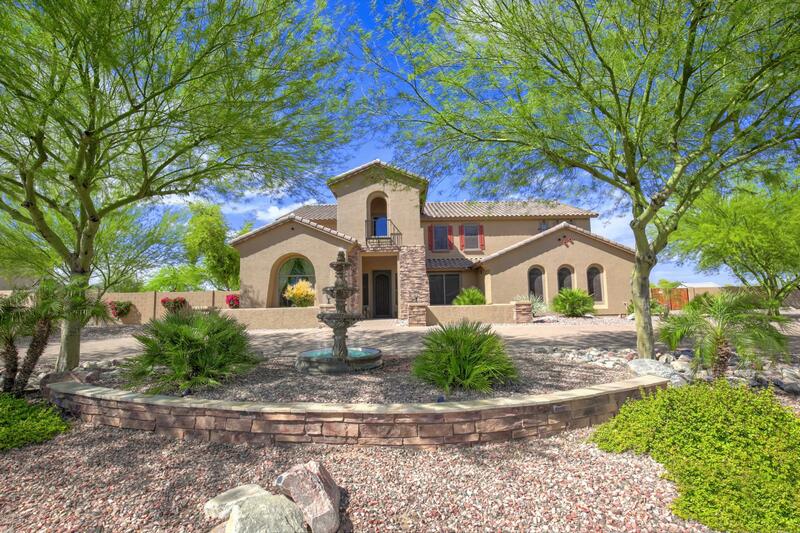 Equestrian amenities include multiple pastures, corral & arena." "INCREDIBLE INVESTOR OPPORTUNITY or an INCREDIBLE PLACE TO LIVE! Very unique property consists of approx. 29 acres including hillside lots with AMAZING views. Property runs from a mountaintop on the east side to a mountaintop on the west side - Jomax Rd on the north to Briles Rd to the south. 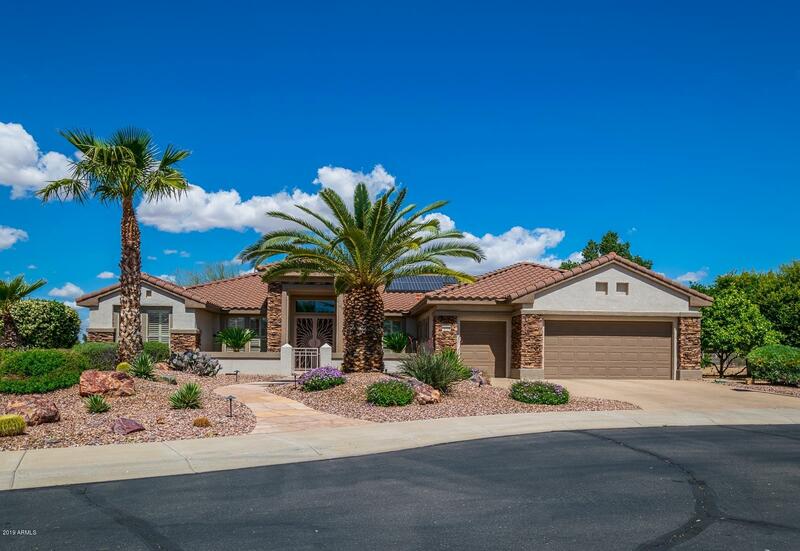 6600 SF Ranch Style home with a 1500 SF guest house. Basketball court, storage sheds, RV Garage and so much more. 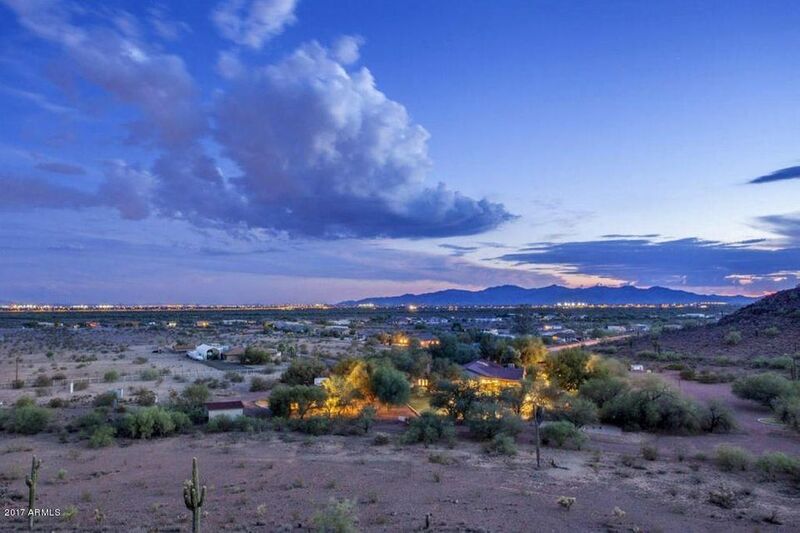 Spectacular mountain, city & sunset VIEWS! Private and quiet, this property consists of six s"
"THIS IS AN AMAZING WINDSOR WITH WATER, MOUNTAIN AND GOLF COURSE VIEWS. SIT DOWN POOL, STEPP DOWN BBQ, FIREPLACE ON EXTENDED PATIO. TRAVERTINE FLOORS, DESIGNER TILE ENTRY, AS WELL AS MASTER BEDROOM DESIGNER TILE ENTRY. UPGRADED TILE ON FIREPLACE IN LIVING ROOM. CHERRY CABINET BUILT INS IN LIBRARY, DINING RM, LIVING RM, MASTER BR AND FAMILY RM. FRENCH GLASS DOORS INTO THE LIBRARY. KITCHEN SUB ZERO REF AND THERMADOR STAINLESS STEEL APPLIANCES. WET BAR, WINE RACK AND REF IN DINING RO"
"This is the ultimate ''Windsor'' located on the beautiful Cimarron golf course. Decorator touches & upgrades throughout. 3411 s.f. 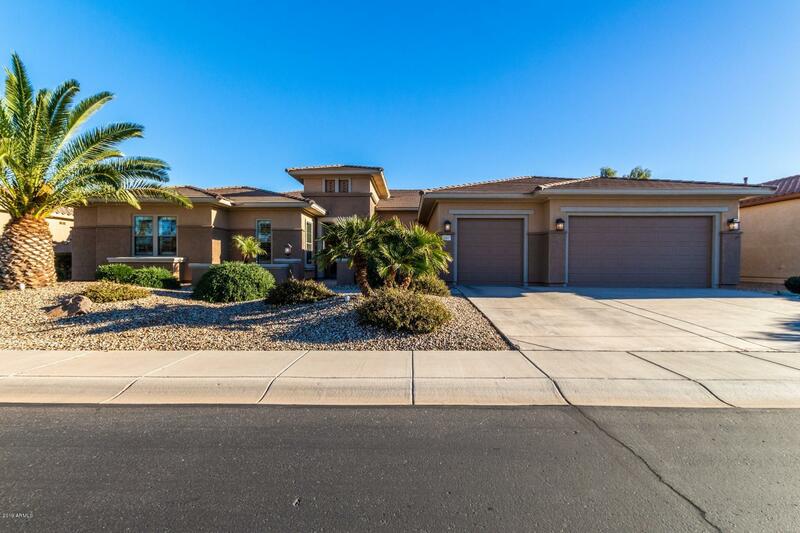 open split floor plan w/12' ceilings, 3 BR's, oversized Master Suite w/2 walk-in closets. Master bath includes 2 headed walk-in shower, garden tub & dual sinks. 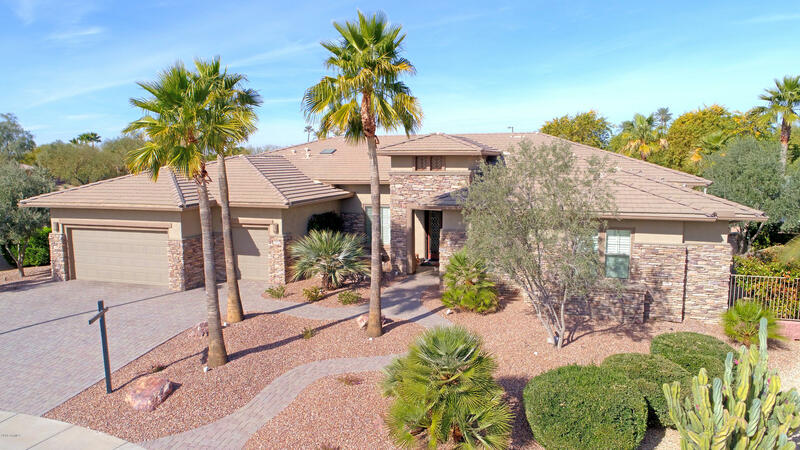 The home also features; a private den/office w/built-ins, living room, dining room, great room w/FP, a large breakfast bar, granite c-tops, SS appl., gas cooking & walk-in pantry. large laundry w/sink. " "NEW LOWER PRICE!! BEST DEAL on the Market being THE ONLY golf course expanded Windsor, with a TRUE MASTER SUITES, (not just another small bedroom) WITH A POOL on the market that contains ALL the bells and whistles :Rare golf course waterfront location with the signature Cimarron fountain in your backyard; backyard views across the lake to the Cimarron golf course huge practice putting green with no neighbors across the fairway looking into your home; three solar systems - 6.2 KW electric, hot w"
"Charming Windsor floor plan on the 12th tee of Cimarron GC. The sweeping views of mountains & sunsets are breathtaking. Brick Driveway & Patio w/ water feature welcome you. You are greeted with a spacious living dining area with French doors to patio. Cherry cabinets, granite counters, double ovens, SS appliances, skylights & walk-in pantry make up your stunning kitchen. Dry bar w/wine cooler. Gas fireplace w/ new faux stone, surround sound t/o & built in media center in family room. Master suit"
"LUXURIOUS WINDSOR model located in REGENTS PARK, on golf ball safe 12th green of Cimarron GC. 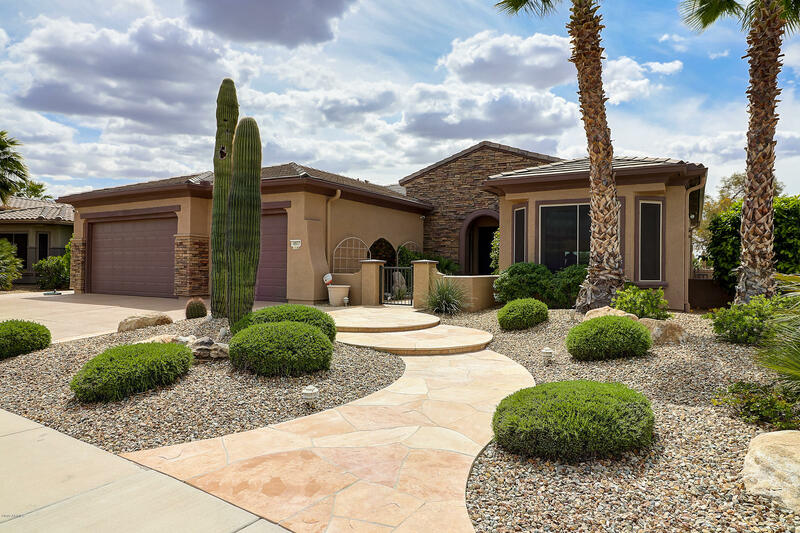 Inviting mature landscaping & unique water feature welcome you thru lead glass front doors. The majestic living room opens to the expanded covered patio with built in BBQ, salt water heated pool/spa and putting green. Gourmet kitchen features granite counters/back splash, SS appliances & large bar counter & euro white cabinets. Oversized tile & carpeted bedrooms. Executive office with built in desk/shel"
"Desired Windsor estate model in SCG, placed perfectly on Cimarron Golf Course lot. Grab some wine from the wine cooler and relax on the covered extended Patio retreat, with built-in BBQ, Fire Pit, Play Pool, all overlookiing the 14th Green. Pool is heated by solar for longer seasonal use. Foliage strategically placed for privacy. Fruit trees, providing a variety of fresh fruits/juices.Two fireplaces, built-ins in LR, Kitchen & GR. Amazing views from Master BR, LR,GR.Tiled Master shower has 2 sho"
"Luxury living is easy in this highly upgraded, lightly lived in, Windsor plan w/all furnishings available. Amazing SE rear facing views on the expanded patio looking over the 16th hole of the Cimarron Golf Course, one of 4 championship courses in Grand, where you will enjoy afternoon shade. You will love the thoughtful touches like; raised vanities, comfort commodes, tons of lighting, gas fireplace, jet tub, master bay window, extended garage, two utility sinks and appreciate the unseen like "
"Over $300,000 in upgrades in this spectacular Kensington. Two fountains, Tuscan decor thruout w/ Marble floors, counters, back splashes, tub, & snail shower along with walls covered in wood grain, deco cement, silk, stone, venetian plaster, leatherette, tea stained walls w/wainscot & museum wall in the guest room for sound proofing are just a few incredible touches in this home. 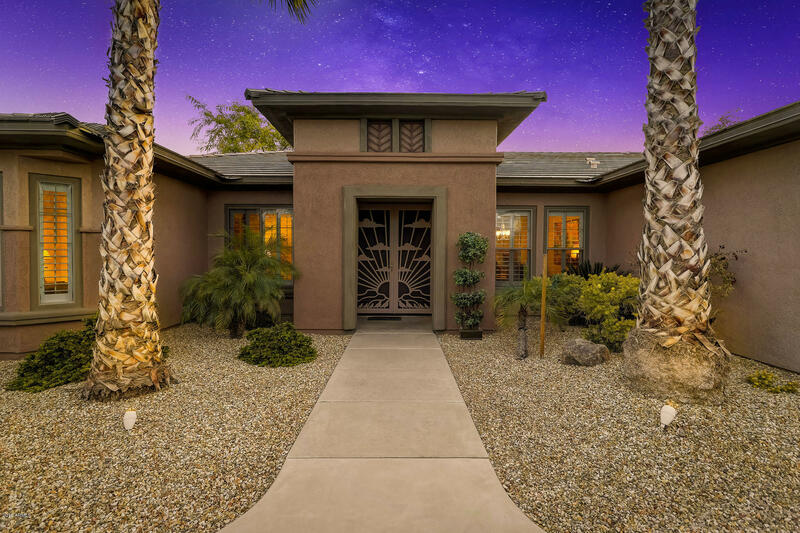 MORE- California closets, crown molding, etched glass front door, remote shades, bvld mirrors, medallion, Stone Creek "
"This Ashbury provides stunning golf course, water & mountain views! Located on the 6th fairway of Cimarron GC. Charming front court yard w/ water rock. 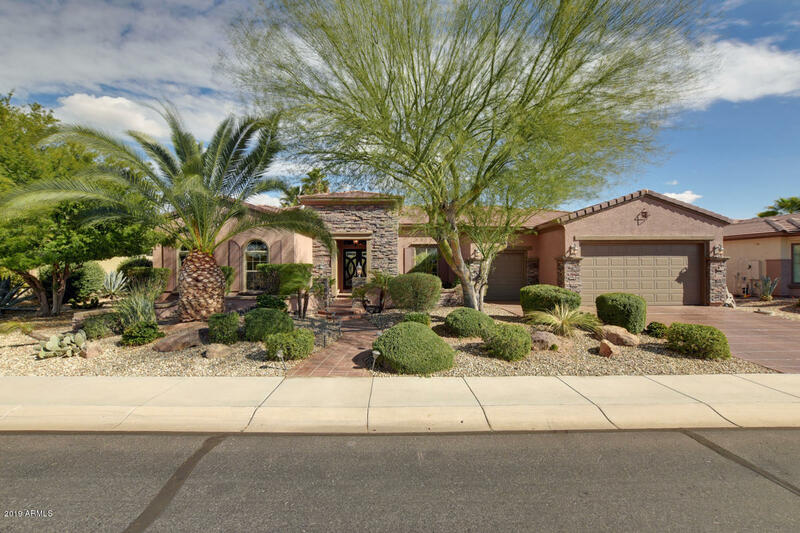 Custom designed kitchen w/ high-end cherry cabinets, granite, Wolf gas cook top & grill, counter depth built-in stainless GE Profile refrigerator, R/O system, extended 4' w/ bay window. Faux stone media wall in great room. Bay window in master suite w/ raised vanities, skylight, walk-in closet & slider door to patio. En suite guest bedroom. Insid"
"Welcome to your Resort Style Home. l!! 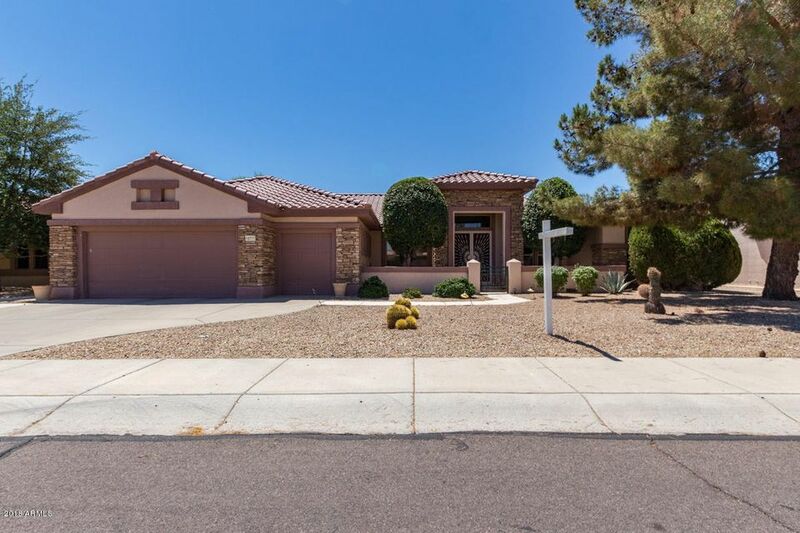 This beautiful 3 bedroom, 2.5 bathroom, 3 car garage home is a dream! You will not be disappointed when you view this phenomenally designed home. 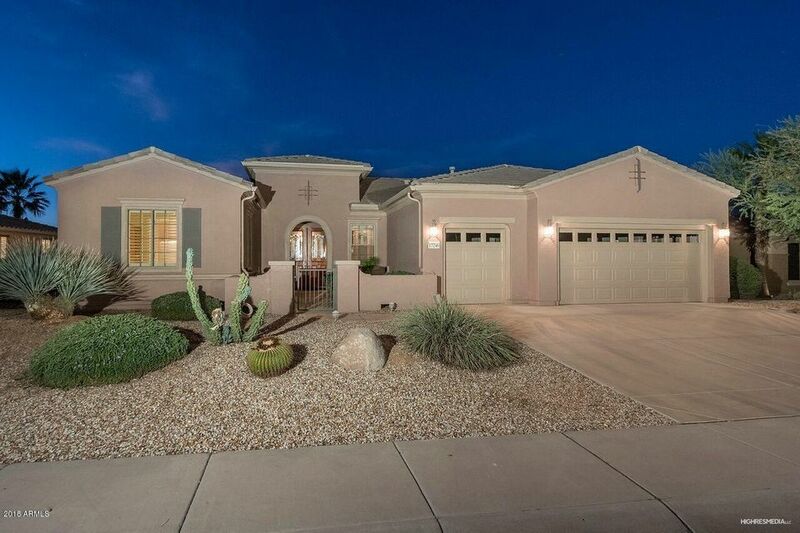 Home has too many upgrades to list, Paver driveway, extra thick concrete driveway to accommodate a GIANT RV, extended rear covered patio, putting green, Beautiful Heated Pool, BBQ Island, Upgraded cabinets and counter tops, upgraded tile flooring, Ice machine and fridge with dry bar and much MORE!" "Sitting majestically on a 15,965 sq. 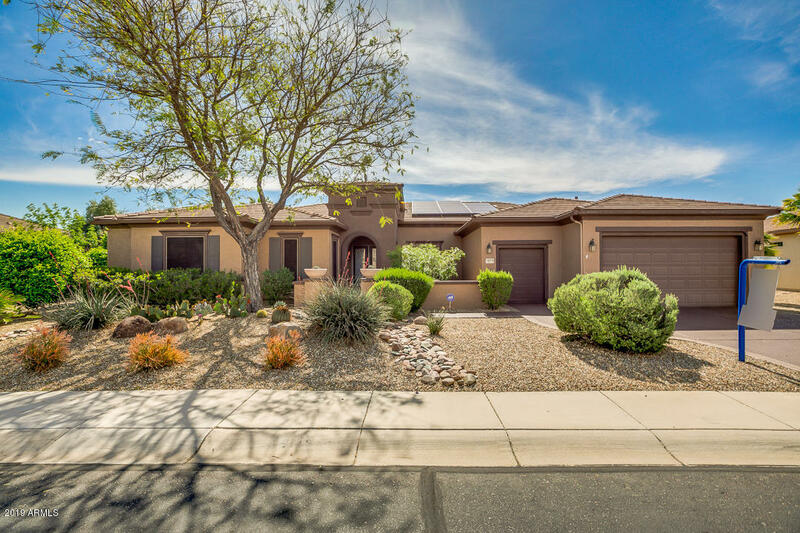 ft. cul-de-sac, golf course lot, this handsome Rosewood model with attached casita invites you through custom double glass doors to a spacious foyer. You will immediately observe the golf course via a wall of large windows. The very large chef's kitchen flaunts stainless steel appliances, a center island and Corian counters. A roomy office/den/library with many built-ins just behind a wet bar which is embellished with a wall of stacked stone. The master bedr"
"Beautifully upgraded home in Greer Ranch with 5 bedrooms and 5.5 baths! Downstairs master retreat with staircase leading to a private loft and balcony. Downstairs guest bedroom with private bath. Kitchen has new appliances with 3 ovens! Upgraded cabinets and counters and large island. Plantation shutters throughout. Two gas fireplaces in living room and family room. The resort-style backyard is an entertainer's dream. Self-cleaning pool with adjacent jacuzzi and separate kiddie pool area, baske"
"Hermosa, pronounced Ermosa, is Spanish for delightful, beautiful and lovely. Indeed that description fits this one of a kind hard to find Cambridge / Rosewood. 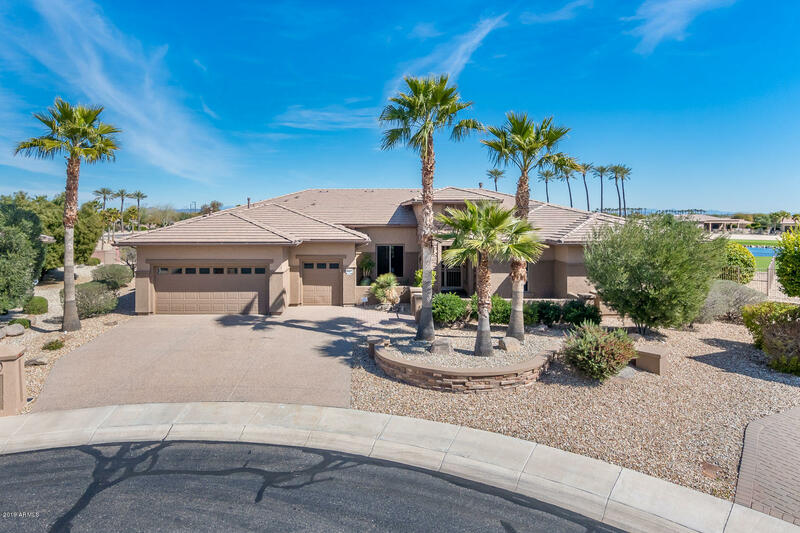 Located above the second green on the exquisite Cimarron Golf Course, this location provides tranquility as well as ease of access in and out of our community. Just a short walk to the Cimarron Center and many of the activities that Sun City Grand residents participate in daily. Fabulous Bradshaw Mountain views from the kitchen, dinin"
"This beautifully maintained estate is loaded with amenities and upgrades. A 582 sq ft pool,with salt system,waterfall and in water table, a professionly built Ramada,and a terraced back yard..The home has five bedrooms,two masters one up one down with a remodeled bath, the upstairs balcony overlooks the the plush back yard, the in home theater room and large loft create an entertainment mecca..There is also two wet bars, with refrigerators and a butlers pantry. 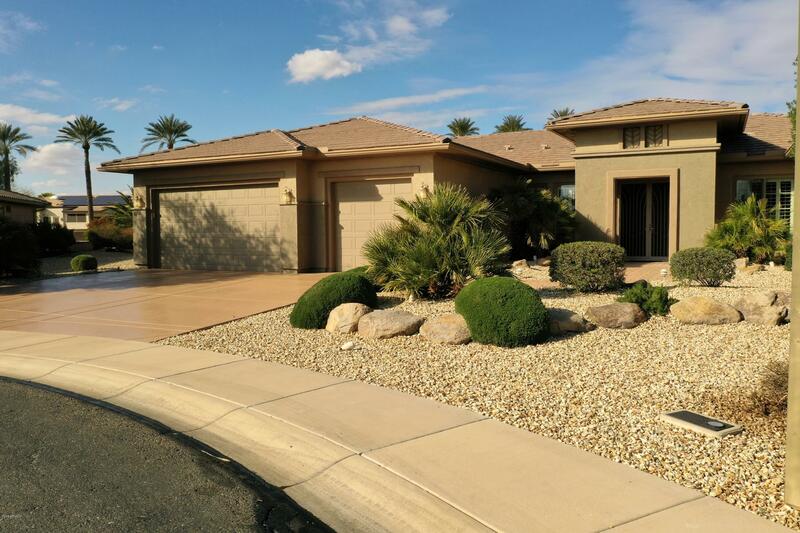 You have to see this propert"
"Welcome to this stunning Sun City Grand home that has been lightly lived in and meticulously well maintained. This home sits on Granite Falls North Golf Course behind the green on the 13th hole. It has neutral tile and paint throughout with a split floor plan. It features stainless steel appliances, plantation shutters, a large covered patio with access from the master and living room. The fenced in backyard allows privacy from the mature trees and shrubs, but also a view of the entire fairway." "Many extras included in this immaculate, N/S facing Hampton Model. This home boasts custom built-ins in Office, Great Room & Master Bdr, all with indirect lighting/display shelving. 2 Master suites with en-suites & extended 3rd bedroom. Granite counters, SS appliances, under cabinet lighting in spacious Kitchen. Shutters T/O. Extended patio retreat has built-in BBQ with seating area, triple rock waterfall, electric shades, and views of Cimarron #14 & #15. 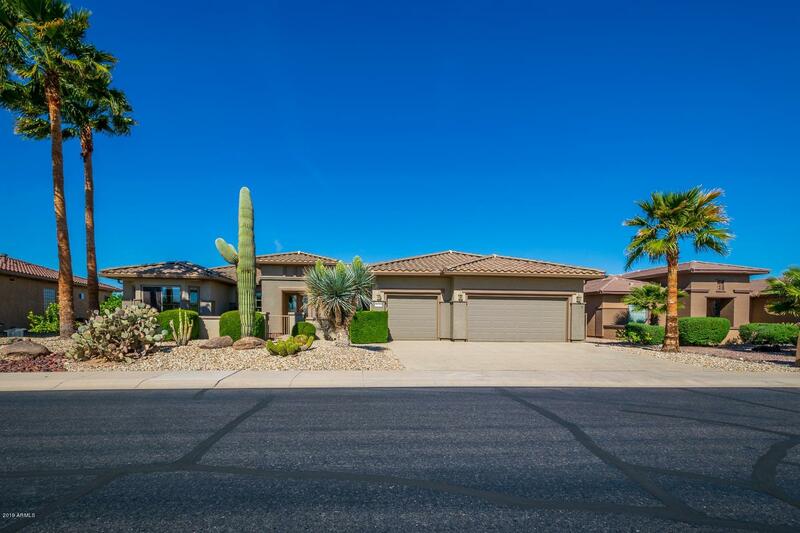 Fully insulated 3 car extended garage "
"Featured Home In the Scottsdale-Phoenix Home & Land 2 Months In A Row! lStunning Kensington Estate Home with charming Curb Appeal, Private Courtyard and Beautiful Custom Solid Wood Double Door Entry. Once inside you will be amazed at all the natural light, crown molding, 18'' tile on the diagonal, large picture windows with plantation shutters. The extended den/office is now a fabulous Formal Dining Room with custom lighting. 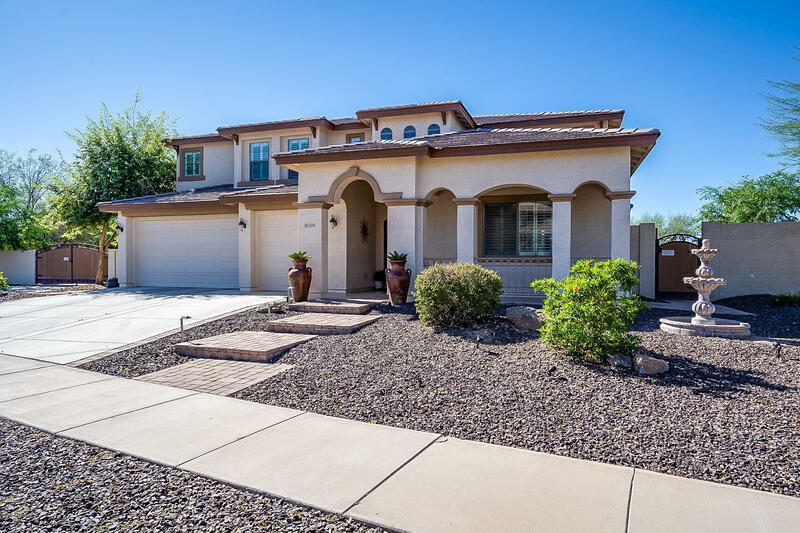 If you have art work this home offers plenty of beautiful wall space "
"CLEAN & PRISTINE, HIGHLY UPGRADED MESQUITE WITH PANORAMIC VIEWS OF GRANITE FALLS SOUTH # 11, CUSTOM CHERRY CABINETS, STAINLESS APPLIANCES, COMBINATION OF PLANTATION SHUTTERS, AUTO & MANUAL DUETS WINDOW COVERINGS. OTHER UPGRADES INCLUDE SECURITY DOORS THROUGHOUT, HVAC & PVC IRRIGATION SYSTEM (both new in 2015). GARAGE HAS CABINETS, OVERHEAD STORAGE & WORK BENCH. LOCATED IN THE PRESTIGIOUS SUMMIT AREA CLOSE TO THE ADOBE SPA AND REC CENTER. THE EXPANDED REAR PATIO HAS NATURAL FLAG STONE AND TH"
"BEST REMODELED HOME FOR SALE IN THIS COMMUNITY.NEW FLOORING,NEW PAINT INSIDE AND OUT. NEW STAINLESS STEEL APPLIANCES. 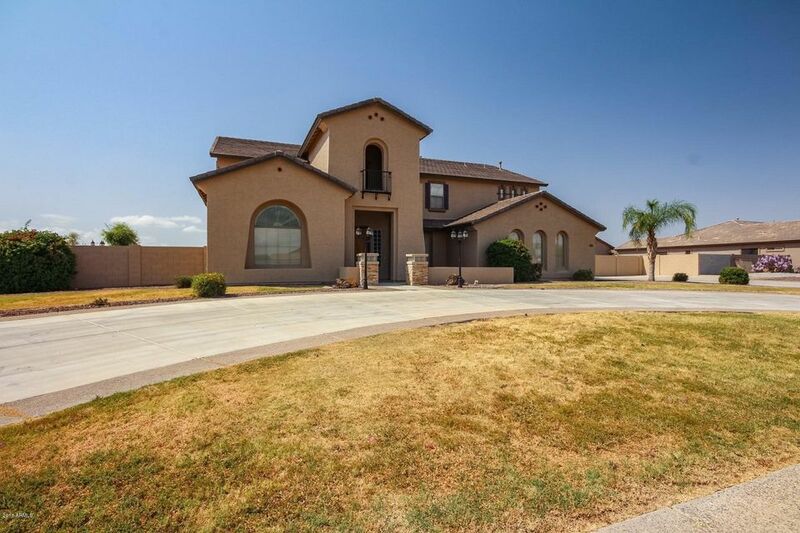 THIS 5167SQFT HOME IS ON ONE ACRE LOT.BEAUTIFUL HUGE MASTER SUITE IS ON THE GROUND FLOOR. MASTER BATH WITH A JETTED BATHTUB, REMOLDED STANDING SHOWER. WET BAR IS ALSO ON THE GROUND FLOOR. 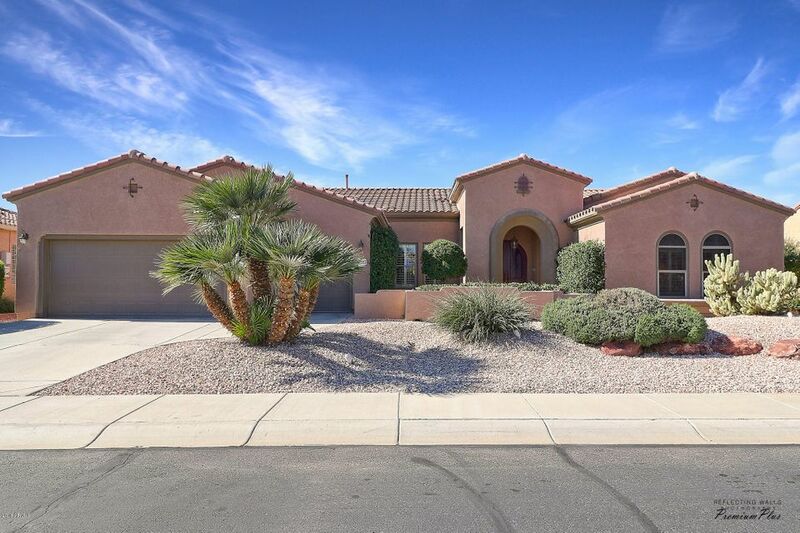 3B2B,THEATER ROOM AND HUGE LOFT ARE ON THE SECOND FLOOR.KITCHEN FEATURES A CENTER ISLAND, BREAKFAST BAR,GRANITE COUNTER TOPS,STAINLESS STEEL STOVE,DOUBLE OVEN AND DISHWASHER.THREE CAR GARAGE,RV "
"CLEAN AND PRISTINE HAMPTON (SPLIT FLOOR PLAN) WITH PANORAMIC VIEWS OF CIMARRON GOLF CLUB # 18 AND WHITE TANK MOUNTAINS. LIGHT BRIGHT KITCHEN IS COMPLETE WITH LARGE CENTER ISLAND, SKYLIGHT(total of 4 skylights in home), CORIAN COUNTERS , COOK TOP AND BUILT IN WALL OVEN AND MICROWAVE. EXTENDED 3 CAR GARAGE HAS WORK BENCH AND STORAGE CABINETS. THE EXPANDED REAR PATIO HAS KOOL DECK FOR EASE OF CLEANING AND IS IDEAL FOR ENTERTAINING FAMILY AND FRIENDS. CLOSE TO CIMARRON REC. 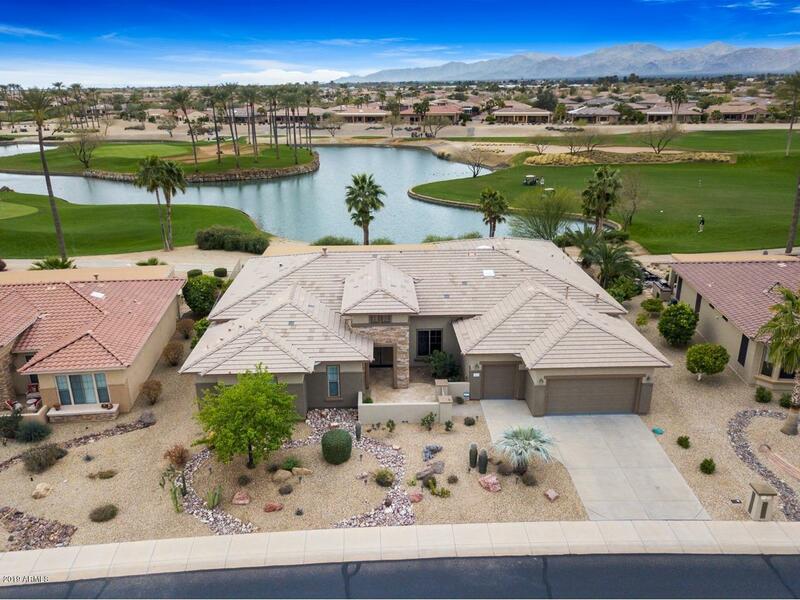 CENTER AND DAY SPA, PI"
"STUNNING WATERFRONT/GOLF COURSE LOT MESQUITE with breath taking views. One of the most sought after lots in the entire community. 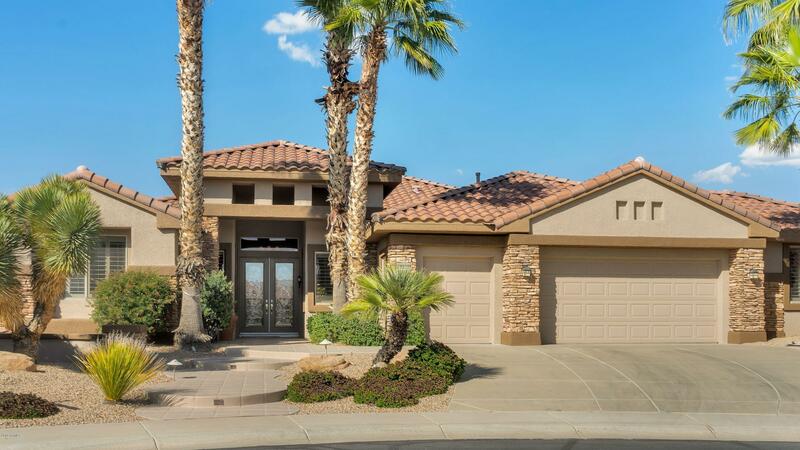 Come enjoy luxury living w/ upgrades & detail throughout. You will enjoy a Lg eat in kitchen featuring a Lg Island with Quartz counter tops & back-splash. Master bedroom features a relaxing sitting room, private bath with double sinks & a private patio exit. 2nd bedroom has its own full private bathroom & private patio exit as well. Once outside you'll find a fully Ex"